Just some things that happened this 2013 year that gloriously shaped Erzullie to its upwards direction. #1 Erzullie’s Secret Sale (Up to 70% off!) last January. It was the first and only time that we went that far in discount. New Erzullie Icons were crowned --- Audrey Lee and Kat Lopez. 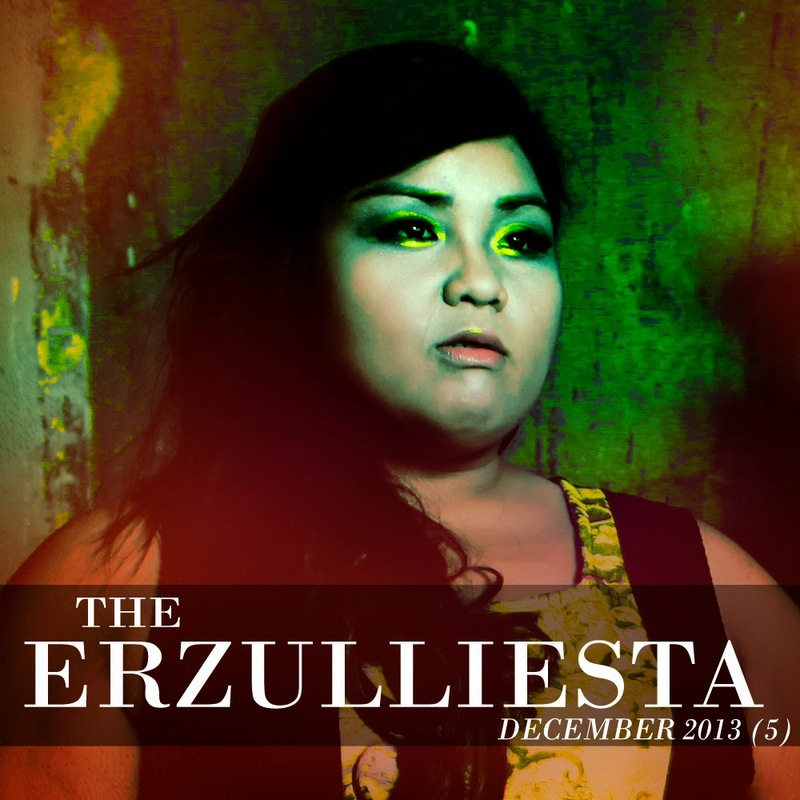 #3 The first issue of The Erzulliesta was launched in March 2013, as well as the first ever Corporate 2013 collection. #5 By May, we started making style inspirations called, “Wednesday Wear”. First theme was: “Graphic Flow”. Our first solo Pop Shop also happened this month. #6 Probably the most memorable event in June was the “Fierce+Flaunt” event, where we partnered with plus size brand Chubbly. The union of all the fashionable plus size Filipinas was positively exhilarating! #7 July marked the change in Erzullie as we have launched our first ever demi-couture plus size collection via the Pre-Holiday season. Erzulliestas loved it so much it got sold out even before the year was out! #8 August was the month was started posting “Saturday Styles”, wherein we feature Erzulliestas wearing Erzullie. 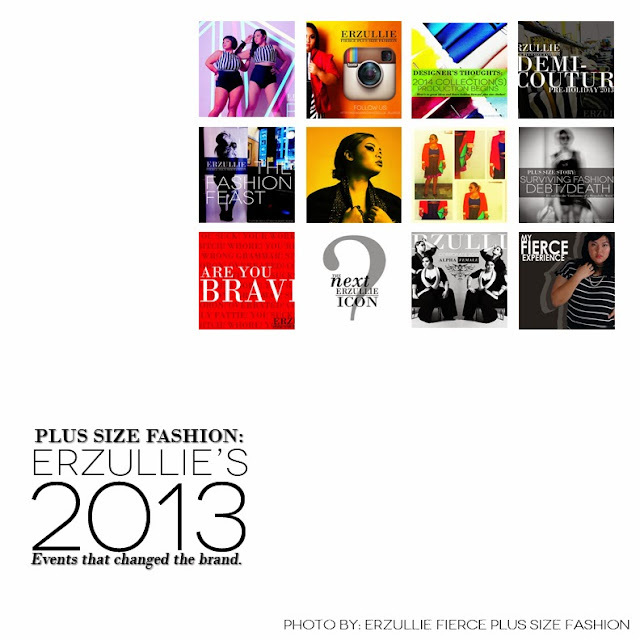 We also joined instagram (@erzullie_plussize) that month. #9 We launched the column “Thursday tips” on September and the first post was “3 not-so-good shopping habits”. Since it was also a globally declared, fashion month, we celebrated it with “The Fashion Feast event”. It was also the month wherein we shared the first ever Erzulliesta’s story about “surviving fashion debt/death”. #10 Last October, we had our first try opening a pop shop in Alabang. You Erzulliestas, of course, made it successful! We also privately launched our Holiday 2013 collection. #11 November --- Anniversary month! What can we say? New Breed/Breath and the Holiday 2013 collection reigns supreme! #12 December was rocking as international plus size blogger, Garner Style, shared a photo of Erzullie’s interview of Erzullie Icon and Plus Size Model, Audrey Lee, on her facebook page. We also gave you girls a sneak peek about the 2014 collections. These are just some of the memories and experiences that made Erzullie and our lives as designers better. Thank you, Erzulliestas for the constant business! We change and grow --- it’s the natural state of our lives. As such, leave the things that no longer suits you here in 2013, and make more room for the opportunities that 2014 is about to bring! Alternatively, you may also choose to let go of things that you no longer want to be with, even if you think that it's still useful to you. If you are scared to let go of relationships, detrimental situations or just plain ill-fitting jeans, thinking that you may have nothing left in the future, think again! You live in a massive universe overflowing with blessings that are meant for anyone who asks for it. Choose to let it go and let life flow back in. The past is the past and today is your weapon to shape your future! #2 With the Holidays coming and blowing over, we wanted to remind you ladies about “the really important stuff”, how to easily relax after and of course, a small greeting! #3 Speaking of the Holidays, check out Erzullie’s Holiday 2013 collection’s full photo set! #4 Heat up your cold holidays with a little “seductive” thought from Erzullie Icon and Plus Size Model, Kat Catapia. #5 Great news! Chubbly Shoes is on sale! Check out the deets! #6 Erzulliesta Monica shows us how to have a “street edge” look for anyone’s fierce plus size style. #7 Being a fierce plus size woman is becoming rampant in the streets! Check out this small fashion editorial --- “Erzulliestas in the City”.